Happy Hamby Campers: Doggy bag?! 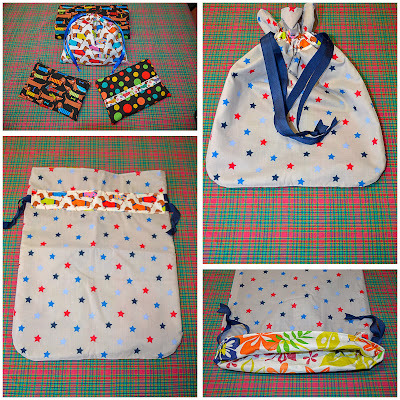 I've done some more sewing this week - prepping a backpack picnic set for Di. I'm very chuffed with how it's turned out. The basic backpack was a Gumtree find. It hadn't been used and held a 4-place setting - cutlery, plates, plastic wine glasses and a small cutting board. 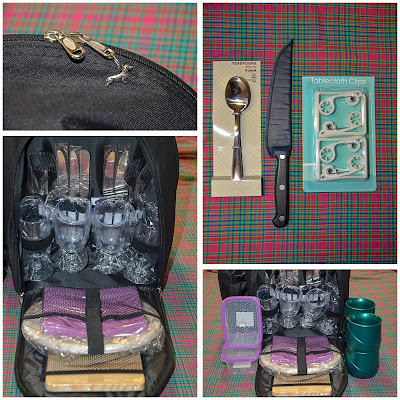 As experienced picnickers, we added extra essentials - a large tablecloth (with tablecloth clips), sharp knife (complete with custom sheath), purple napkins and storage containers, various co-ordinated bags/pouches as well as teaspoons and thermal mugs. The mugs were a wonderful bargain, bought nearly 10 years ago at a liquidation ware-house for $1.00 each. 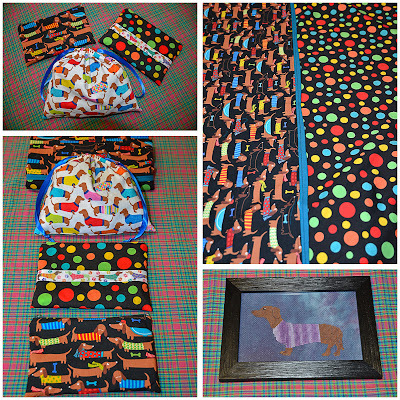 As they retailed for more than $10.00 usually, we bought 20! After lots of careful consideration, I've decided to gift Di four of my stash. Generous, eh?! The starry bag is a new idea. 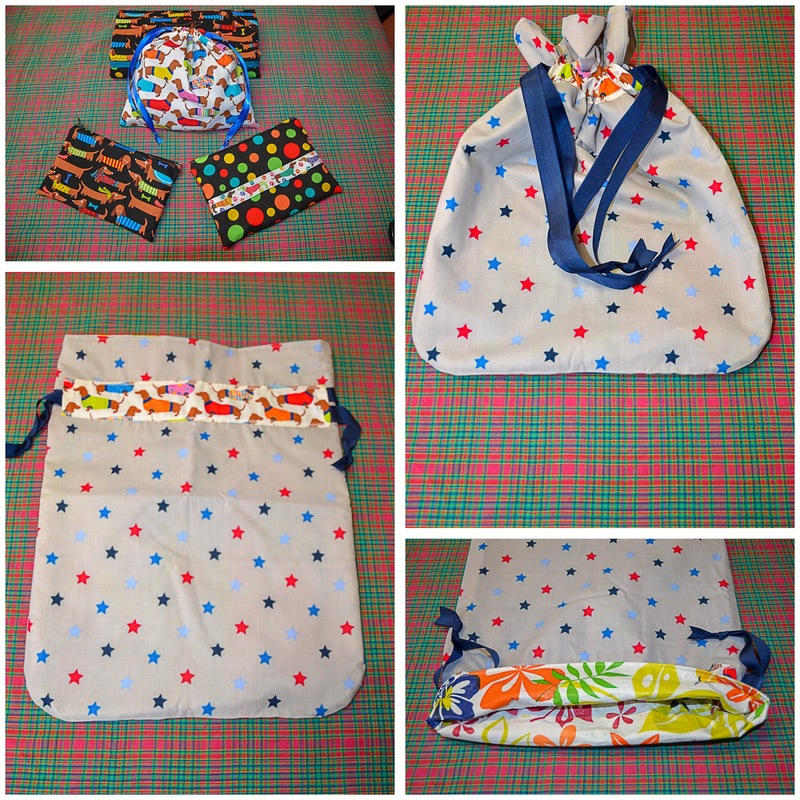 It's the same style as my kettle bags and loo kits but lined with leftover plastic tablecloth material. The size is generous to stow dirty plates, cups etc for washing when home again. (Now that I've made a prototype, I'll do one for me, too)!